Check what people are saying about your brand online – both positive and negative. The world of tomorrow looks more like the world of yesterday than the world of today. Just like people used to congregate in marketplaces likes Soukhs and all in the olden days, people are increasingly coming together in cyberspace with no social or geographical divide between them. Latest Nielsen study shows that only 14% of people trust advertising whereas 78% of people trust recommendation. 1% of your audience will create the content, 9% will spread the word, whereas 90% will be influenced by it. Brands are increasingly attuning themselves accordingly, finding out the 1% influencers which in most of the cases are bloggers. 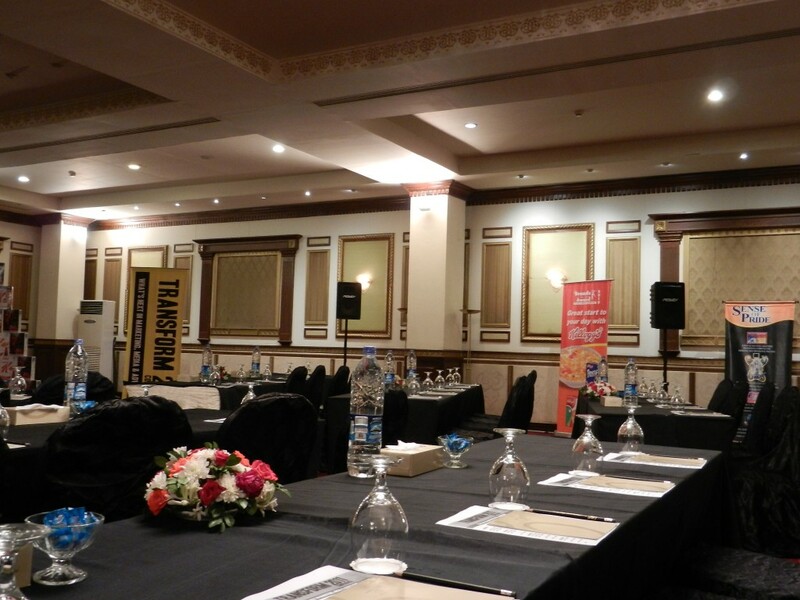 Blogger Meet-ups are being sponsored by major brands where these bloggers are lavished with gifts. Just like the rest of the world, star bloggers have cropped up in Pakistan with the potential to influence their fan following which runs in thousands. Haris Nadeem is one such blogger – a techie who has a large influence on the local social media scene. He’s doing his bachelors and already earning more than 60-70% of people present in this conference. Levi’s website is a classic example of observe and absorb behavior. If you visit their website while signed into facebook, the website would fetch upcoming birthdays of your friends and you would have the option of sending them a gift coupon to buy Levis jeans. 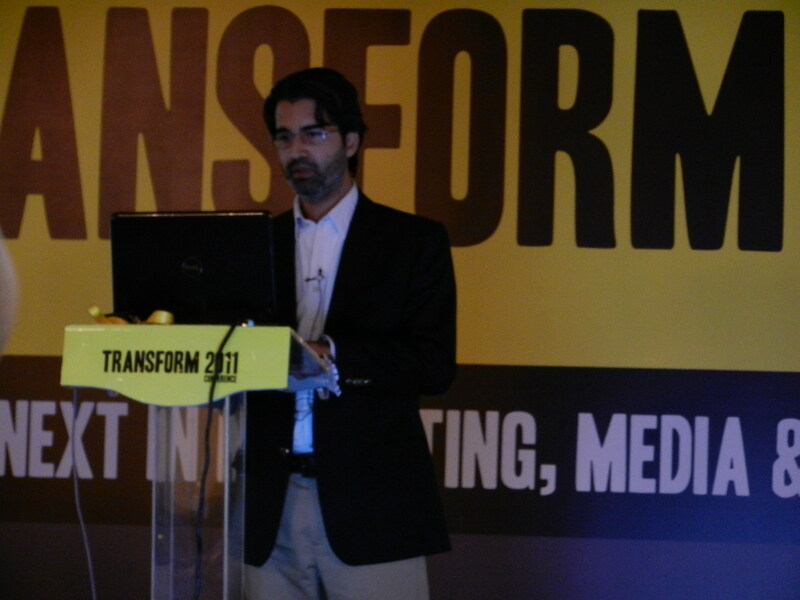 There’s a dearth of e-commerce sites in Pakistan which is a big opportunity. My cousin in Australia wanted to gift chocolates to his friend in Pakistan so I recommended Lal’s chocolate which is the only local brand giving that option. No. of fans, followers, tweets, status updates. Re-tweets, sentiment analysis, comments, likes, time spent. 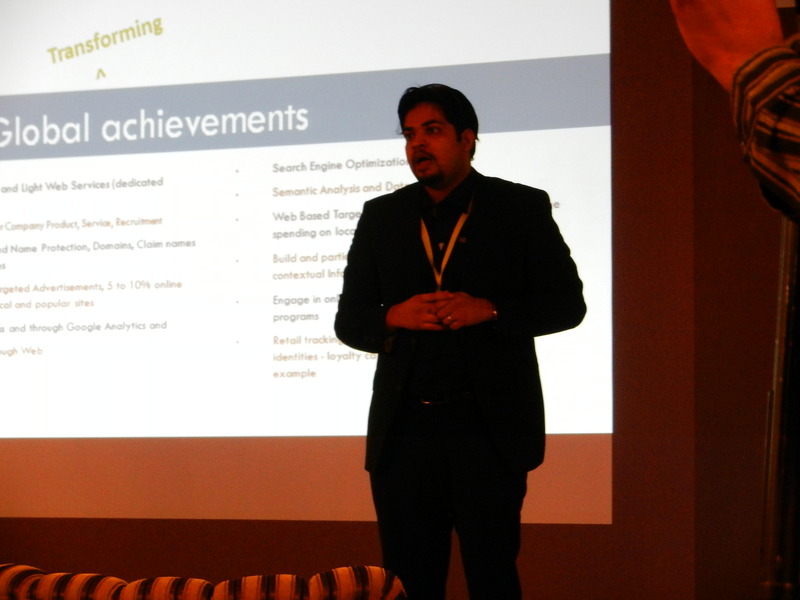 Leads generated, complaints handled, recruitments, response time, sales. TV ads have lost their edge because of the fragmented media. 20 years ago people didn’t have any choice but to watch just one channel. Even if you came up with a dud ad, it would get noticed and produce results. Not so anymore. With more than 80 channels at your disposal, for some even 250 channels, you cannot get noticed the way you want to even with a colossal budget. The diminishing power of TV ads is a result of 5,000 brands on TV with almost 50,000 ads per day. You’ve been bombarded with almost 10 ideas per presentation in this conference, I’ll give you just one potent idea. People watch TV for the content, not for the ads. Ads are enforced upon them by the marketers. Traditionally the 30 second TV spot was the driving force behind which all the other tactics were applied. With ‘Hero Banney Ki Tarang’ a reality TV show based on acting, we came up with a program that carried the brand persona of Tarang milk by Engro, and gave the consumers what they crave for – content that is absorbing. This way we turned the conventional marketing wisdom around, using the TV spot, billboards and all the other advertising vehicles as support for the branded program and not as the main content. Q. What has milk got to do with reality TV show that also based on acting? Has that converted into sales? ü The problem wasn’t to do with sales. They were already having good sales numbers, but when they did a brand picture survey, their brand didn’t have the essence and the persona that they intended it to have. They knew their TVC campaign wasn’t working and went for this option to project their intended image. ü Secondly, the program is in its second season. If it wasn’t effective, they wouldn’t have continued it for a second year around. Rai Umair, Visionary & Director, Maventor, Australia. 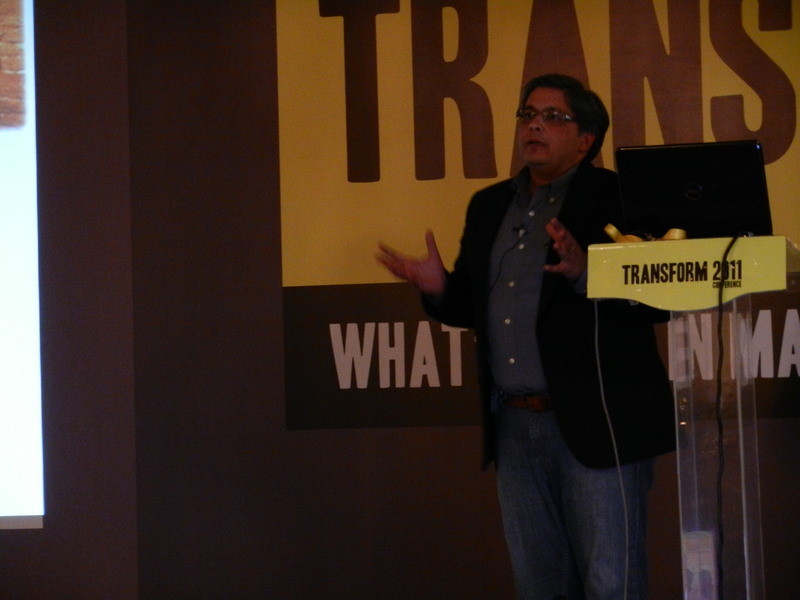 Customer expectations – rapid feedback and merger of offline content with online. FC Pakistan is a food guide of Karachi that was officially launched in July, after having a soft launch in April 2011. The website aims to bring all food-related blogs under one roof and has acquired over 28,000 fans on Facebook besides being figured prominently in print media as well. In order to generate content, a contest was held through the website and facebook page whereby people were asked to submit pictures of restaurants and their offerings. 26 participants submitted photos over a period of 10 days. The winner who submitted 220 pictures won an Android phone. He was called to the Forum and unbeknownst to him, we gathered 250 people at the mall to celebrate his victory. People crave quality content even if it’s just folklore. A brand that has a story is that much easy for the consumer to assimilate and has more probability of being endeared to the consumer. What we did was take a popular folk tale and subtly embed a brand into the storyline. The folktale was that of Heer Ranjha – Jhang – Southern Punjab. And Telenor Talkshawk was the brand that was embedded in the Heer Ranjha skit, a skit that was performed across numerous villages across Punjab. Although this tale ends in a tragedy, we reversed the outcome, ensuring that our brand was the reason of that reversal. Although arrangements for 300 people were made, as many as 900 people turned up in some villages. The MNP rate (number conversion from one telecom brand to another) was the highest achieved at any point in time. This was possible because the sales reps of the Telenor were present wherever a skit was being performed. This goes on to show people never get tired of the folklore no matter how many times they see its rendition. Secondly product features and promotional offers when communicated in the form of a story have an everlasting effect. And the same tale can be used in different provinces with little modification. For instance in Sindh it would be Sassi Punnu. The concept of using folk tales to leverage brands is nothing new especially in the Western world. Red riding hood, Jack in the Beanstalk, Snow White, Cinderella all have been used by major brands like Pepsi, IBM, Coke, KLM and numerous others to differentiate themselves from the competition. Our heritage is far more rich in folklore than theirs and hence the opportunity to use this platform for brand immortality is enormous. Q- How did you promote these shows, through conventional media or something else? ü The dynamics of a village is entirely different from that of a city. In a village you’ve a central marketplace or corner where people congregate at the end of the day for idle talk. We targeted such places in each village, announcing the show one day before with the help of dhols and all, sometimes even handing out flyers. Although the entire speaker panel was a glitterati of accomplished people in marketing, media and advertising, quite a few speakers chose to adopt the style of a lecture, teaching the basics of their profession a la textbook style instead of weaving stories and narrating anecdotes that would have conveyed their viewpoint that much better while keeping the audience hooked and awake at the same time. The conference was similar to GenMark Conference held last year. 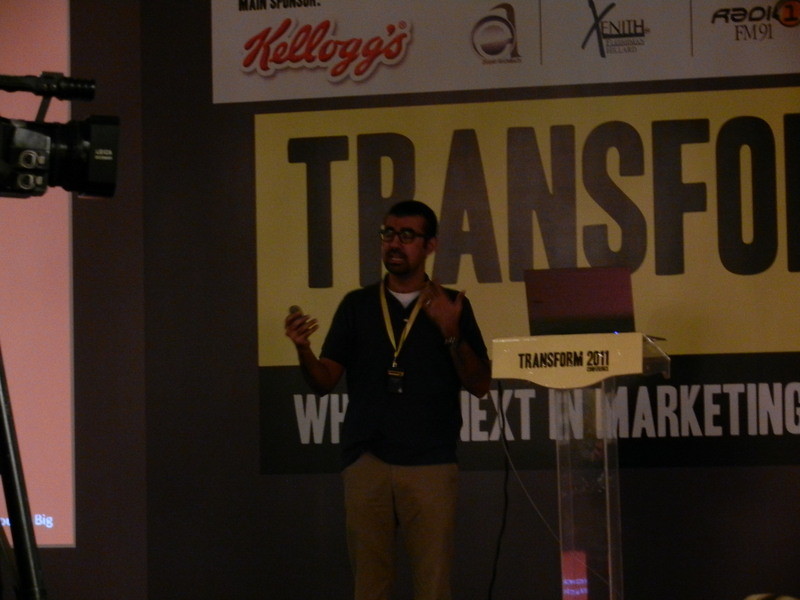 Haseeb Ihtisham of Nokia was the only one who innovated with his presentation by making use of Prezi, the new buzz software when it comes to presentations, and the most likely successor to Powerpoint. 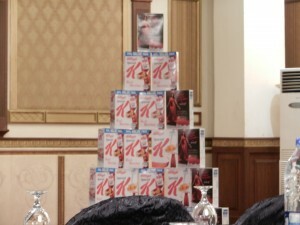 Although Kellog’s was the main sponsor of the event having notable presence through their banners, a shrewd arrangement of their product packaging right alongside the stage, and the presence of their CEO herself who handed down plaques to the presenters, it was Food Connection Pakistanthat stole the show. Yet another good thing they did was that they had their entire team present at the conference, which tried to make their presence felt by asking questions from the speakers, sometimes just for the sake of asking, anything to keep themselves in the limelight. Kellogg’s could definitely learn a thing or two from these two limelight strategies. At the very least, Kellogg’s should have presented something, if they’re not doing remarkable marketing in Pakistan, at least their international marketing campaigns would have been good to see. FC Pakistan’s sponsor strategy is a perfect example of how any brand should make the most of any sponsorship opportunity. Although FC Pakistan team has proved as shrewd marketers at the tactical level making brilliant moves at the grassroots level, they aren’t the most able brand strategists. This is evident from their choice of their brand name. 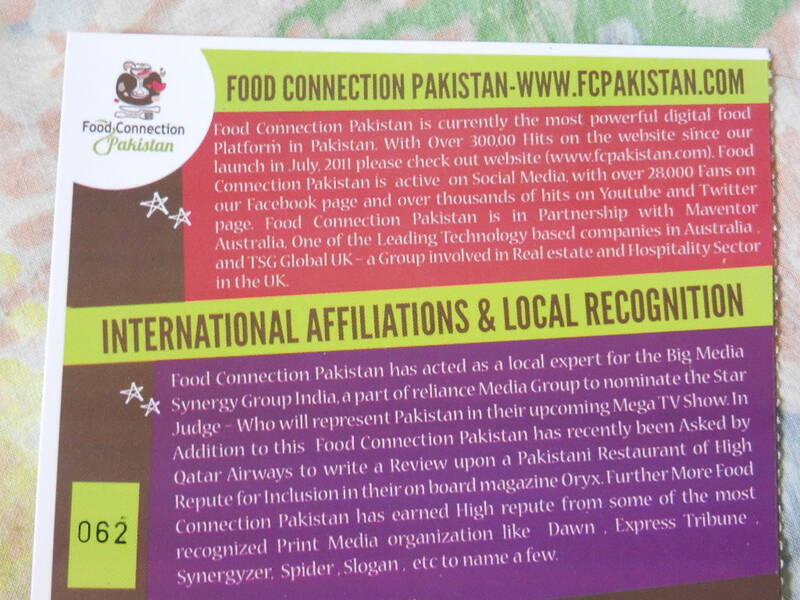 Food Connection Pakistan maybe a good move from a SEO and keywords point of view, but couldn’t be a worse form of brand name. Ditto for Karachi Snob. Both these websites would do well to learn from Google, Squidoo and Twitter, names that are unique, memorable and most importantly short with no more than three syllables. If you’re worried about your brand remaining in obscurity just because it doesn’t carry a relevant keyword for search engines to recognize, you’re selling yourself short and not in it for the long haul. 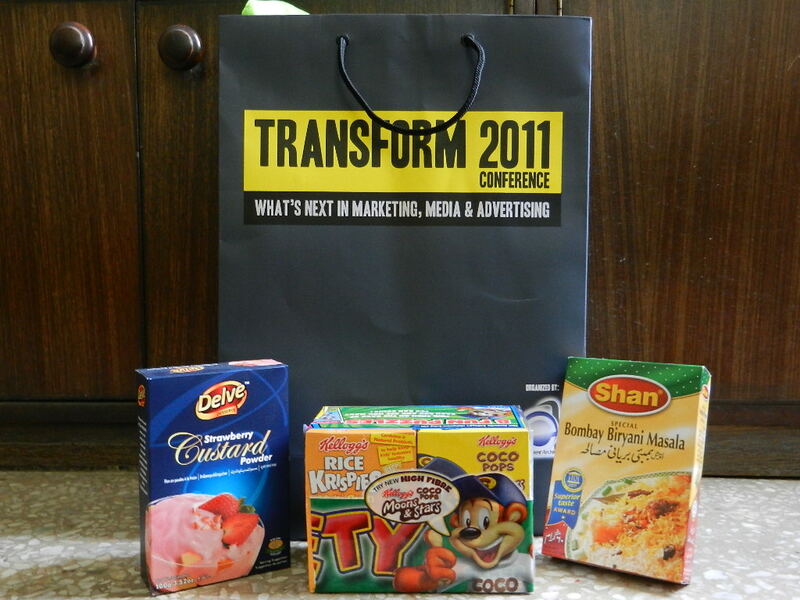 Finally, the traditional gift hamper you get at the end of such conferences was an amusing eclectic mix of items. Kellogg’s four-in-one cereal pack, Delve Strawberry custard mix and Shan’s Bombay Biryani Masala. Now I’m not sure what the Shan marketing team were thinking in sponsoring this event or handing out this strange, but if they really wanted to make this effort count, this should instead have put a biryani stall at lunch separate from the main dining table from where the participants could taste a biryani made with this biryani masala and cooked by the best biryani chef money could buy. And on this very table, they should have put these free samples of biryani masala for the participants to pick up for free instead of unceremoniously giving them at the end. This effort would have paid rich dividends for the brand. Same strategy should have been followed by Delve as well which interestingly is a dessert brand launched by Shan. Great Article! You have presented a very detailed and insightful view of the event that any reader would feel they were actually present as an audience. Although, one thing I would like to disagree with here is the part where you wrote about the Brand Strategies of Local concerns like Food Connection Pakistan and Karachi snob. Considering the amount of internet penetration in the country and the level of adaptation to this new evolving digital age. We are still very much lagging behind, compared to the base countries that launched Squidoo, Twitter, etc. For a Pakistani market, easy and TOM recall is still closely associated with the relevancy of the name. Although, a lingo holds potential to become a good brand name and may even be a Top-Of-Mind for a niche audience but for an Online Venture targeting masses ( and I am talking about particularly in Pakistan ) these names (like Karachi Snob, FCPakistan) are an absolute must. Had they been targeting/catering the International region, your point would have been very much true, but then again there are website with names such as Facebook :). Well, you’re entitled to your own opinion, but my observation is totally from a branding point of view. Branding may have been viewed as an art but in reality it is a science, and any science transcends geographical boundaries. Minor things may vary from place to place but the laws remain essentially the same. Just because it requires some level of creativity doesn’t mean it’s purely an art form. I gave the examples of international brands because we’re used using them as classic examples. You can find just as many good brand names here as well. From Dawn and Jang, Olivetto and Okra, GEO and Aaj, Jawaid and Sabri, Fresco and Dilpasand, Jafferjee and Al-Karam, Hobnob and Gourmet, Tapal and Mitchells, to Hamdard and Rooh Afza all are great brands having short, unique and memorable names. Also note that almost all of these names have no relevance to the core business and yet just throw this name at anyone and he’ll instantly recognize what you’re talking about. Now try to think of a big generic brand name from the local scene and run it through a few people. Most of the people will have a tough time either remembering what’s good or bad about it. Note that all of these names like their international counterparts have just three syllables. Any lengthier and you run the risk of making it not only less memorable, difficult to use in conversations, but unable to use it in creative new ways. Just try imagining using the name Food Connection Pakistan or even FC Pakistan in your everyday conversation. See how cumbersome it is? Unless you reduce it to FCP, but then it’s a mere abbreviation like million others open to misinterpretation. There was a time when names like IBM, GE, and NEC worked. Not anymore. Can you use FC Pakistan as a verb? No. You use the phrase, “I googled restaurant guide and got these results…”. Now try doing the same with FC Pakistan, “ I FC Pakistaned for Mexican restaurants in Karachi”….. Doesn’t feel right, nah? Sounds idiotic. Can you make variants of this that spawn an entire ancillary industry like Twitter? Think Twibble, Twellow, Twitpic, Tweetdeck. Again it’s a big no. And the biggest bummer: FC Pakistan can never be used interchangeably for a category. Did you know Jeep is a brand, not category? Same goes for Surf and Scotch tape. And yet today we use these brand names as a category. Such is the power of great brand names. No, FC Pakistan cannot do any of this because of a mere glitch in naming the brand. In fact nor can Karachi Snob or Restaurants Uncut for that matter. All these three leading brands are restricted by their own unimaginative pursuit of short-term gains. They’ll never be able to own the category in the mind of the consumer in the long run. They’re created with the intention of making money for 5 maybe 10 years. That’s it. Hope now you understand why a unique, short and memorable brand name is critical to the ultimate success of a brand.